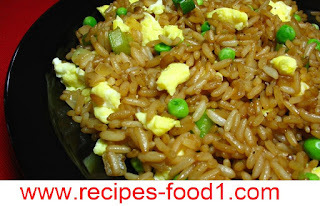 This is my form of the no nonsense Egg Browned Rice. Super basic and serves 2 people. Warmth one to two tablespoons oil in a wok and broil shallots till fragrant and light dark colored. Evacuate seared shallots. While oil is as yet hot, include the rice and panfry well. Pour in flavoring and keep on stirring broil for around 3 minutes. Pour in eggs and broil until appropriately cooked. The rice ought to be covered and yellowish-darker in shading. Sprinkle the broiled shallots over the rice. Dole out and present with embellishing.